Topic: Who says Fed A is underpowered again? Re: Who says Fed A is underpowered again? I find both classes of the Federation ships great and fun to play with. Re: Fastest Fail Run Ever! On one of my runs, I died even faster. The first jump was a sun, and I think you can guess what happened. Topic: Ran into a really weird situation... Do I have to restart? I ran into a similar situation before, and I think the one thing the boarding drone needs is some sort of self-destruct system. I am surprised that there is no four-pad teleporter or Weapon Pre-Igniter on that ship, but it still looks extremely OP. Topic: What do you wish was in FTL? Re: What do you wish was in FTL? A self-destruct button for the Boarding Drone. I like the Lego Zoltan. 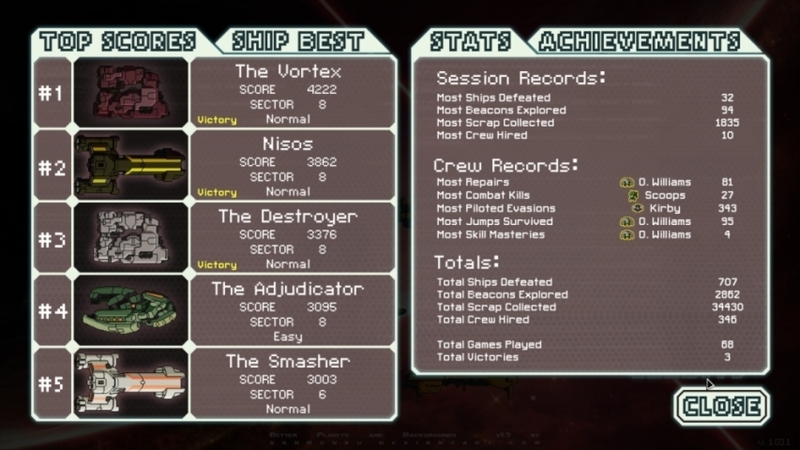 The Vortex is my favorite ship of the ones that I have. My first and only ever play-through with it was a victory for the Federation. I might have gotten lucky, but I was doing pretty well the entire game. I do not hire crew often, but I do sometimes if the crew member is someone that I would like to have on board my ship (such as a Zoltan). More Dakka wrote: Engi B? Starting with only one crew is going to be rough. Starting with only one Engi can be rough, but with a bit of luck, it can be very rewarding.